CSUN is launching a new, two-year, inclusive program this fall, CSUN Explorers, that offers people with intellectual or developmental disabilities to take classes at the university. Photo by Lee Choo. Hoping to break down stereotypes and misconceptions, California State University, Northridge is launching a program this fall to increase the employability and independence of individuals with intellectual and developmental disabilities. CSUN Explorers is an inclusive, two-year, postsecondary program offered through the university’s Tseng College. It is designed to increase the independence, and work and life skills of students with intellectual and developmental disabilities by offering them an opportunity to experience university life in an age-appropriate setting. Lasky noted that CSUN Explorers will not be earning a CSUN degree. “To do that, they must meet the CSU admissions requirements, apply and be accepted to CSUN,” she said. “Instead, they will receive a certificate of completion that signifies that the individual has increased their level of independence through significant progress in academic exploration, competitive employability, social competency and self-advocacy. “Once they’ve completed the program, the certificate indicates not that they just have completed a program, but that they are more independent and have skills that make them employable, and that’s the real goal,” Lasky said. CSUN is the second CSU campus to offer such a program. Fresno State launched a similar program, Wayfinders, in 2011. To be eligible for the CSUN Explorers program, individuals must have a diagnosed intellectual or developmental disability, be between the ages of 18 and 28andhave a certificate of completion or equivalent from a high school program. Explorers will take at least two classes each semester with CSUN undergraduate students, and will have a peer mentor in each class. They also are invited to join student clubs and take part in other activities on campus. Their second year in the program will include internships on campus or in the community. They also will have access to resources in CSUN’s Career Center, including resume writing, to help them find internships and jobs. Lasky said she expected the program’s first cohort to consist of no more than five students. 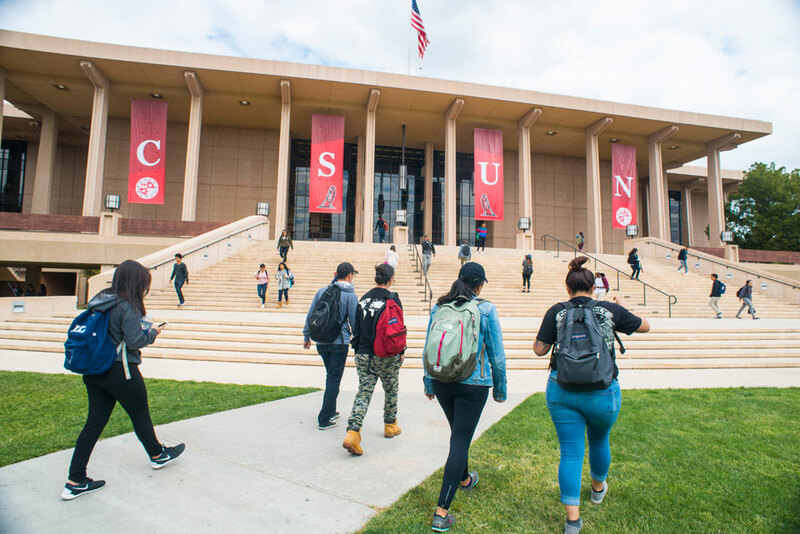 Lasky said she was pleasantly surprised earlier this year when she sent out an email to department chairs across the campus, asking for the names of professors who would be willing to have CSUN Explorers in their classes. “Basically, what I said is that I was starting this new program, that it would involve students with intellectual disabilities who would be taking two classes each semester, and that I wanted to have a variety of lower-division undergraduate courses that they could choose from,” she said. Lasky, who teaches a course in disabilities studies, volunteered to meet with faculty who may have concerns about how they would meet the educational needs of a student with an intellectual or developmental disability. Lasky said the creation of the Explorers program seemed “natural” for CSUN, which has long championed inclusive education. CSUN has one of the largest populations of Deaf and hard-of-hearing students at a mainstream university in the nation. Each year, it has hosted the CSUN Assistive Technology Conference — the world’s largest event dedicated to presenting and exploring new ways technology can assist people with disabilities. The CHIME Institute — a national leader in developing and implementing model educational programs and dynamic research and training environments to disseminate best practices in inclusive education, and which operates an inclusive K-8 public charter school — started at CSUN, and the institute’s research and training center is housed in the university’s Michael D. Eisner College of Education. “Having a program like the CSUN Explorers is a perfect fit for the university, and the CSU as a whole,” Lasky said. For more information about the CSUN Explorers program, visit its website.